The makers revealed few posters from the film which reveal the look of Akkineni Nagarjuna in the film. Speaking at the launch of the film today, Nagarjuna said that he has complete faith in Ram Gopal Varma and the subject he has come up with. “I have complete faith in Ramu’s script and he believes me too. I’m sure the film will be turn out to be one of the best films in my career. It’s an intense story which will have a Ramu style approach to it,” said Akkineni Nagarjuna. Many Telugu movie-buffs were surprised at Nagarjuna’s decision to do a film with Ram Gopal Varma since the filmmaker hasn’t had a great run in the last many years. 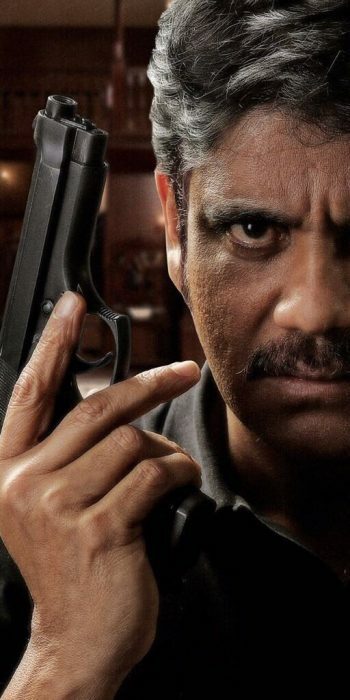 However, Nagarjuna has come out in support of Ram Gopal Varma and said that when he narrated the script to him, he was taken aback with it and agreed to do the film instantly.